SMS, IVR & Mobile solutions for Utilities. Utility companies have never had to work so hard to retain customers. Comparison websites which take the effort out of switching suppliers, coupled with the increased number of available suppliers, have led to record numbers of households jumping ship. Price-sensitive and well informed customers know that they're in the driving seat, and it's down to you to win their loyalty. Esendex can help you communicate more effectively with your customers, facilitating more accurate billing, effective trouble-shooting, and the development of a two-way relationship that doesn't rely on app usage to succeed. See how in our utilities white paper Empowering Proactive Messaging which focuses exclusively on utilities providers. 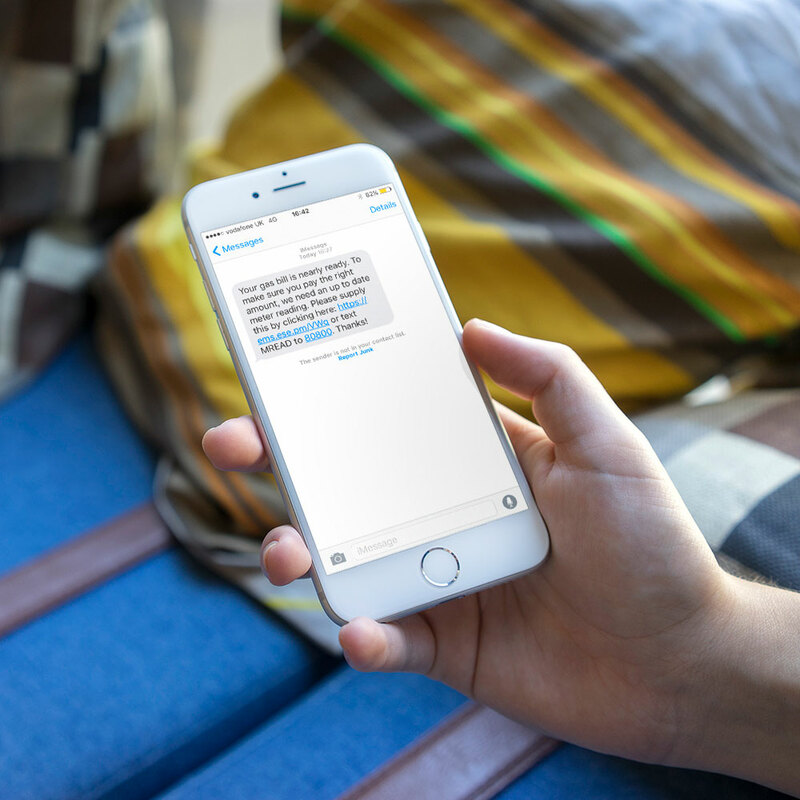 Four million energy customers were overcharged in 2015: reduce errors by making it easier for customers to update you with their meter readings via SMS or a dedicated Mobile Journey. 25% of customers switch providers because they're tired of being kept on hold. Providing self-serve options means your call centre agents can prioritise calls more effectively. Don't wait for complaints to find out you've got a problem; actively seek feedback with an SMS Survey to ensure continuous improvement and show that you care. "The Esendex team has delivered a solution that meets our current and future requirements, and provides significant business benefits." Multichannel messaging for energy suppliers. Improving customer service while reducing the cost of delivery. Meter reading prompts which really work! Esendex's customers are enjoying great response rates from a simple process: their customers receive an SMS when their bill is almost ready to be calculated. It requests an up to date meter reading which can be supplied by replying to the SMS, or clicking on a web link to a dedicated Mobile Journey. Because customers have a choice about how they provide the information, and there aren't any barriers such as downloading an app or needing to go online, they're more likely to complete the request. People increasingly prefer to self-serve (40% prefer this to human contact), and that's good news for utility companies with call centres at breaking point. By using Interactive Voice Response (IVR), you can give most customers access to the information they need without needing to speak to an agent. Proactively seeking feedback will give you the edge over the increasing number of competitors in the energy industry. Something as simple as 'how was your experience with our call centre today?' can go a long way - and surveys delivered via SMS are much more likely to be responded to than via email.